Our participation at the 7th World Glaucoma Congress in Helsinki on June 28 - July 1, 2017 was a success. 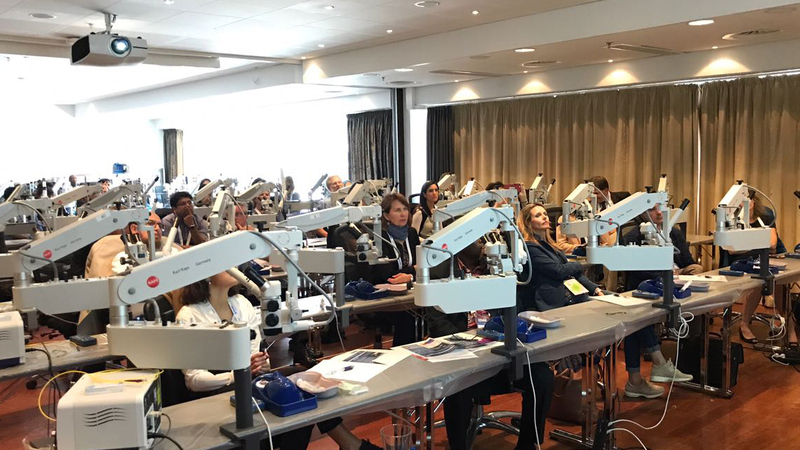 Our hands-on wet lab featured the MicroPulse P3 with the CYCLO G6™ Glaucoma Laser and was filled at capacity with glaucoma physicians from 40+ countries who came to learn about our laser therapy and MicroPulse. We invite you to see photos at our Instagram and Facebook pages. Our next stop will be Panamericano de Oftalmologia (PAAO) in Lima, Peru from August 9-12 and American Society of Retina Specialists (ASRS) on August 11-15 in Boston, Massachusetts. Visit us at these events to get hands-on demos and to learn more about the features and benefits of our glaucoma laser and probes. We are happy to announce that the CYCLO G6™ Glaucoma Laser System is now available in Ecuador! 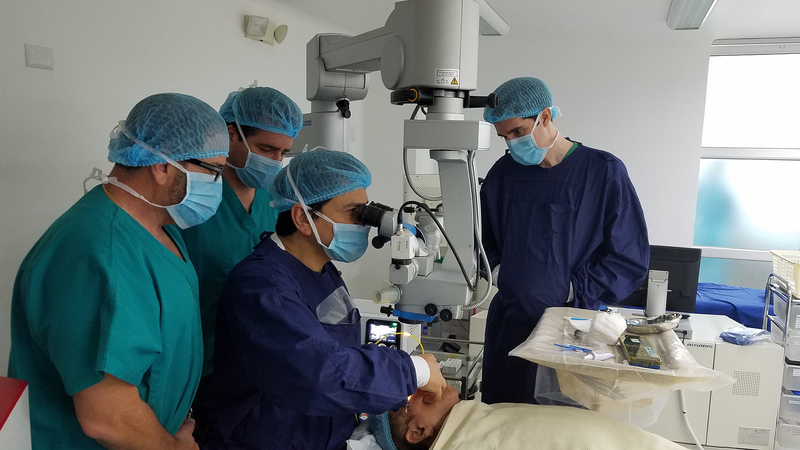 Dr. Jose Francisco Rivera Delgado from Centro de Diagnóstico Ocular in Guayaquil performed the first MicroPulse P3 case using our novel technology. With MicroPulse therapy and the CYCLO G6 Laser, glaucoma patients in Ecuador now have an alternative to surgery and expensive medications. Our glaucoma laser and probes are now available in most of South American countries, including Brazil, Argentina, Peru, Colombia, Chile, and now Ecuador! Dr. Randy Craven, associate professor, Wilmer Eye Institute, Johns Hopkins University, Baltimore, MD, spoke recently with Ophthalmology Times about our MicroPulse therapy for the treatment of glaucoma: “The MicroPulse procedure is not only an option for treating end-stage glaucoma and in pseudophakic eyes, but it may be used in phakic eyes, as a supplemental procedure in eyes with a prior tube, and for patients on anticoagulant therapy who are at risk for intraocular hemorrhage with a filtration procedure." In a recent Ophthalmology Times article, Dr. Steven D. Vold from Vold Vision said this is an exciting time in glaucoma surgery with several minimally invasive and micro-invasive glaucoma surgery procedures available. One of these approaches is MicroPulse laser therapy. "In the past, cyclophotocoagulation performed via a transscleral approach was reserved as a last-resort procedure for end-stage glaucoma. Today, cyclophotocoagulation using MicroPulse Laser Technology (MicroPulse P3, IRIDEX) is a sutureless procedure that effectively reduces IOP and medication use with greater safety." In this video, Monisha M. Vora, MD, Wills Eye Hospital, discusses the pros and cons of performing MicroPulse Laser Cyclophotocoagulation Therapy to treat glaucoma as well as how it works, treatment techniques, threatment parameters, 18-month study results, and her personal experience using the Cyclo G6™ Glaucoma Laser. What is the shelf life of the MicroPulse P3 probe and the G-Probe? The answer is 3 years. If you have questions about any of our devices, email us at info@iridex.com. IRIDEX is a worldwide provider of laser-based medical systems, delivery devices, and consumable instrumentation for the treatment of glaucoma and retinal diseases. Our products are sold in the United States through a direct sales force and internationally through a combination of a direct sales force and a network of 70 independent distributors into over 100 countries. MicroPulse® Laser Technology is a tissue-sparing solution for the treatment of retinal diseases and glaucoma. With MicroPulse therapy, a continuous-wave laser beam is chopped into a train of tiny, repetitive, low energy pulses separated by a brief rest period, which allows the tissue to cool between laser pulses. For more information, visit iridex.com.